There's a strange tradeoff to indie rock shows hosted in churches. There's a rarefied atmosphere that makes these shows distinctly more intimate, but out of some vague fear of clapping too loudly, audiences are usually unnervingly quiet. The wildly talented, as well as affable, Thao Nguyan (of Thao & the Get Down Stay Down) noticed this too during her solo set at MacDougall Church, and won the unofficial "best crowd banter joke" of Up+Dt Festival by following, "I used to care about filling the silence while I tuned…" with about 30 seconds of silence. 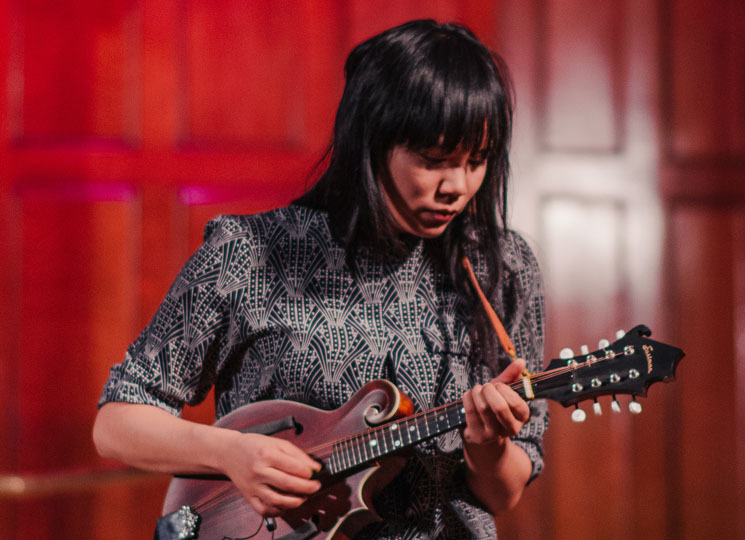 It was hard to stay glued to a pew through the jittery staccato of Thao's guitar riffs, her impassioned singing and her ability to pick up anything with strings and pick out an interesting melody. She switched between mandolin, pedal steel and conventional six-string guitar, looping them all together at times to fill out the large church. Thao's brilliant approach to paring down her set from a full band's worth of sound into a solo act was captivating, but it featured a distinct tradeoff as well. The subtle swagger of her beautifully raw voice sounded gorgeous unadorned, but if anyone in the audience said they didn't imagine how much more intense the show would be with a set of drums driving it, their pants would have been on fire.